Carlos and I would like to take this opportunity to wish everyone a very prosperous, healthy and happy year ahead. May all of you have a safe journey back to your hometown and the reunion dinner with your families, meeting up with friends and not forgetting receiving and giving ang pows. Gong Xi Fatt Cai, Gong Hei Fatt Choi, Keong Hee Huat Chai!!! Happy New Year to you Gert. May you enjoy your day with your loved ones..
Keong Hee Huat Chai to you and your family. Enjoy your new year. Keong Hee, Keong Hee, Gert. Gong Xi Fa Cai. Thought you were going back to M'sia no? Of course you can link me. ;) Thanks. Gert ... Wishing you & Carlos excellent health, continuous prosperity & sparkling happiness in the new year! No more locking keys in cars or yourself out of the house. Haha! Happy NCY for you & family! Gong Xi Fa Chai to Gert & Carlos! Gert, tai ka Fatt Choi. Happy 'Lou Shi' Year!!! 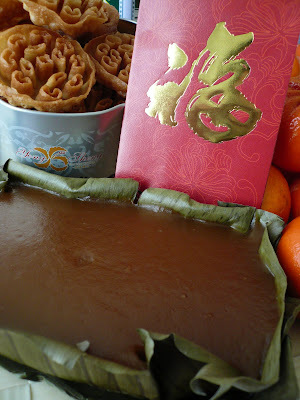 PS: Nice nian gao there, by the way. blurmummy, thank you. Happy CNY to you too. Retno ,PJ & Aim, thank you. 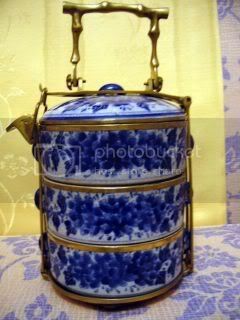 Choy, same to you and your family :) So what are you planning to do for CNY? Janice, Gong Xi Fatt Chai to you and your family too. Hey babe! May the year of rat bring you loads of goodies and great health! Happy Chinese New Year to you, Gertrude. May it be a great year for you. Wahhh, that's a nice big "Ti Kuih"! Gong Xi Fa Cai Gert!! !.....Hmm yummy kueh bakul, kueh rose (or kueh "goyang"), the oranges and Ang Paww!! Gong xi fa cai gert!!!! may this year be prosperous, filled with good health and all the best things you'd ever wish for! Abang Mat, terima kasih. Pelik jugak kenapa kueh rose di panggil kueh goyang? Abang Mat tahu cerita dia tak? Zaza, thank you. How are you and your family doing. Hope everything is fine. Lama tak singgah kat blog I? gert, we're good and hope you guys are well too. singgah tapi tak sempat nak tinggal kan comment. sooorryyy! hardy was away for 1 week the other day and now he's off for another week again. tak tinggal comment doesnt mean that i've forgotten all about you k! how was your CNY?